I'm really curious about any interpretations as I thought this dream to be quite peculiar. I was next to a male singer (I'm not sure which trait of him may be connected to my personality or if this is related to his name) and he said to me that the world was ending. There was an open view and I could see a dark black sky that was impressive but I felt no fear. I was showing him some pictures of myself and old friends as children except those pictures don't actually exist in real life and I'm not sure who was portrayed. One in particular I thought the face resembled me but the hair had a different color, the clothes were something I'd never wear and the person looked so thin. Only thing that matched me was the length of hair so I was dumbfounded and wondered if that was really me and if it was why I looked like that. Then he said he wanted me to take off my ring. I thought "what ring?" because actually in real life I rarely wear any accessory but then I looked to my right hand and there was in my ring finger a large square ring filled with 9 planets. It really looked like those NASA pictures of planets, you know those little spheres, within a kinda beige background. I noticed that above and below the square there were little diamonds and some were missing. Out of nowhere and contradicting my partially rational mind I said "Oh, I have used this all my life. See how old it is?" I was referring to the missing bits. He really wanted me to remove it so I did it and my finger even had a big mark on it. I'm not sure what he wanted it for but suddenly the ring band turned from metal to black thread, lots of black thread and I complained that it was ruined and I had no reason to put it back. I tried to find a ring online that matched the dream one. 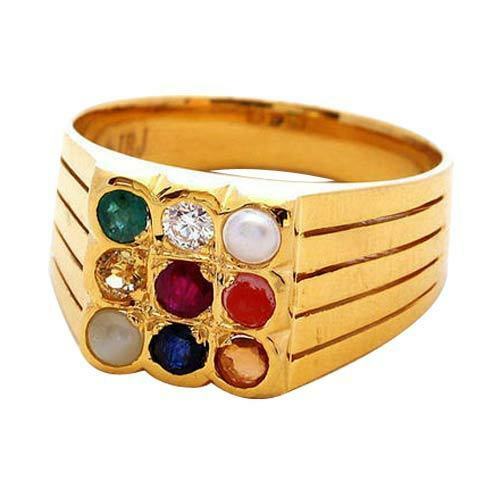 The closest thing to it are "navaratna" rings that I never knew existed. Apparently the gemstones portray 5 planets, the sun and 3 lunar phases, sometimes 9 planets, etc. I found that both the ring and the black thread are related in some way to Indian culture/beliefs. Actually I've seen people advise against using this ring without taking precautions and checking the natal chart for planets placement. But in reality I use no rings, I have no gemstones or crystals and I don't know much about that culture and I don't see how the singer or I can be related to this theme. However I still find it interesting. The child was somebody else, maybe a childhood friend(the thing is that the dream generated an image that I don't think ever existed so I'm unsure who it was)... the picture I recognized as myself in reality couldn't or shouldn't be me as I never had that appearance in my life. But then the time frame for the commitment would still be the same, childhood. I think you're on to something here. Specially considering I'm no longer in touch with the "possible" friend represented.